Laura Brown has probably given InStyle its most memorable year in its 24-year history, starting with Drew Barrymore in February and moving onto the likes of Oprah, Zoe Kravitz, Sandra Bullock, Serena Williams, Janet Jackson and Tracee Ellis Ross. 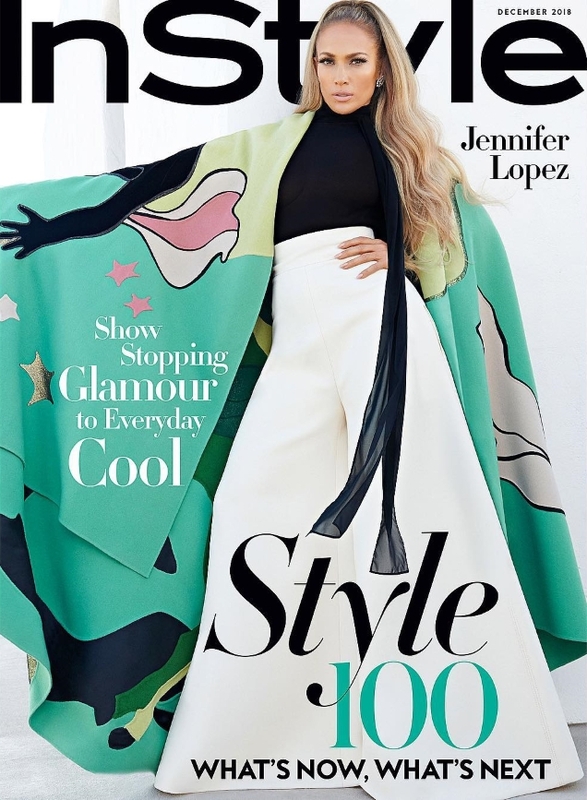 The magazine closes out 2018 with Jennifer Lopez who, despite having a staggering 81.6 million Instagram followers, is a rarity at the newsstand these days (appearing only on the cover of Harper’s Bazaar in the past 12 months). JLo brings the drama for December 2018 in a glamorous Valentino cape, photographed by Anthony Maule and styled by Julie Pelipas. Unfortunately, the outcome did not sit well with the majority of our forum members. “Lol, in all seriousness, the cover could’ve worked with someone who has a strong sense of wit and charm. They should’ve given this exact styling to Tracee Elliss Ross last month. JLo just looks pissed and annoyed here,” said Ken Doll Jenner. “Agreed, it’s not an ‘on brand’ cover for Jennifer. The styling is too artsy and intellectual for her. Besides, the shot looks more US Harper’s Bazaar than InStyle,” Benn98 chimed in. “Yes, everything is so US Bazaar, just cheaper,” agreed Srdjan. Also not buying it was forum member A.D.C. “JLo is such a photogenic woman but magazines haven’t really done her justice the last couple of years. Also, what kind of stylist straight up copies a look from the red carpet? This is JLo’s Met Gala look redux,” she pointed out. Not everyone felt the same way. “I know she looks like some kind of Barbie doll with the hair and the makeup but I just can’t hate on it. I have such a soft spot for Jennifer. She’s so wrong she looped right back round to right. I’m here for it,” approved honeycombchild. “Love it, something different for her,” Pulp Fiction said. Check out Jennifer’s InStyle cover shoot and be sure to share your thoughts here.